Fashionably Late - Bont North America's Jilleanne Rookard pulls the small women's lead pack over the rain-soaked road course. 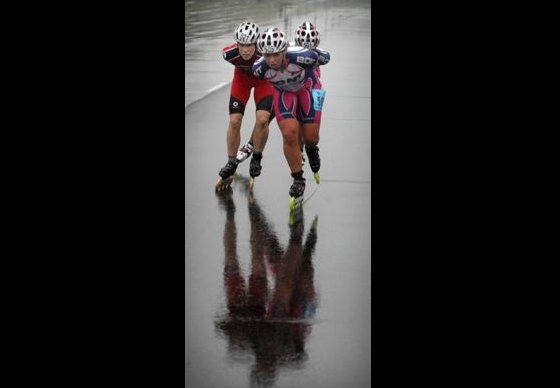 Behind her is Adams Inline's Kara Peterson (left) and Bont's Helen Havam. The Bont women missed the start of the race — by about a minute — but eventually caught Peterson.